Today, despite all the hype about whether SEO is dead, we find that organic search is still one of the highest ROI digital marketing channels. Looking closer, when you weigh up all the factors that contribute to successful SEO, page title tags are still one of the most critical components. Write them badly and a page can stand little or no chance of being found. So, here are our top tips on getting more from this important tag. If you’ve worked in SEO then you should have tried, at some stage, to get a top ranking for a prestigious but fiercely competitive search. This can be a frustrating waste of time, at least in the short term. That’s not to say that you shouldn’t aim high and go for these terms, you can try. But better if you target longer phrases that also include competitive search terms. Then, you’re aspiring for ambitious rankings while also aiming at achievable ones. One of the most convincing cases for doing this is using years. For example, the term ‘SEO tips’ is also included within the less competitive phrase ‘SEO tips 2019’, which is searched for too. But, do you get lots of traffic from these searches? Yes. 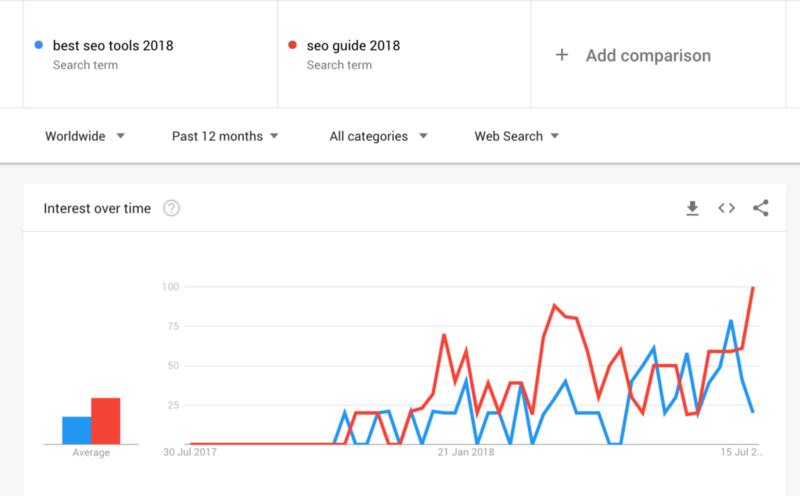 When more people are becoming aware of the staleness that afflicts some search results – and adding years to freshen things up – the result is that you can get a lot of traffic. More than you’d think. These searches are made around both expected and unexpected topics. But they often occur around questions and searches for useful content. The same technique applies to coming seasons or occasions that are relevant to the product (e.g. Summer, Xmas, etc.). And reacting to offline events – like TV or news publicity – that suddenly raise awareness. Include these terms too on any content that fits, even in combination with the current or upcoming year. Ranking early is a good move. You can establish a top position at an incipient stage when there are few competing pages around. Later, when other competitors try and get in on the same terms, you won’t get deposed so easily. Even though these competitors might normally outrank you. You’re enjoying all the glory of getting in first, before they did. So, is it too early to focus on a distant occasion like 2020 in the summer of 2018? Maybe it is. 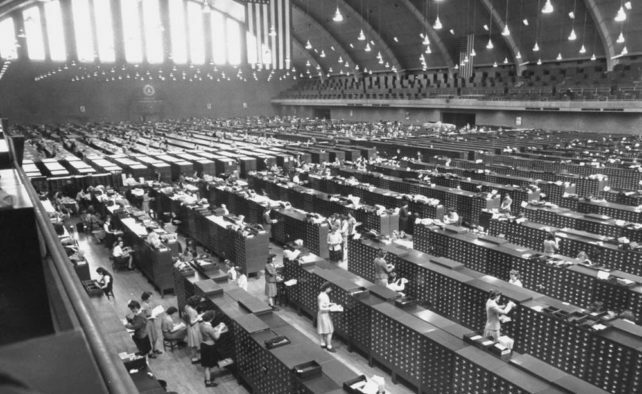 But often it isn’t because searches begin earlier on than you might think. Especially in areas where people search well in advance, like travel. Still, ranking for futuristic search terms can present logistical difficulties. If you’re quickly appearing for a 2020 search, then be prepared to answer queries with relevant content and non-ridiculous replies. Tip: use Google Search console to make sure this kind of content is submitted for indexing as quickly as possible. Search volumes are one thing. But sometimes, even with page titles and keywords, it pays to predict what might be searched for in the future. Around your product or service, irrespective of how many people are searching now. This is different from point 1 in the post where the trends, years and occasions are known. 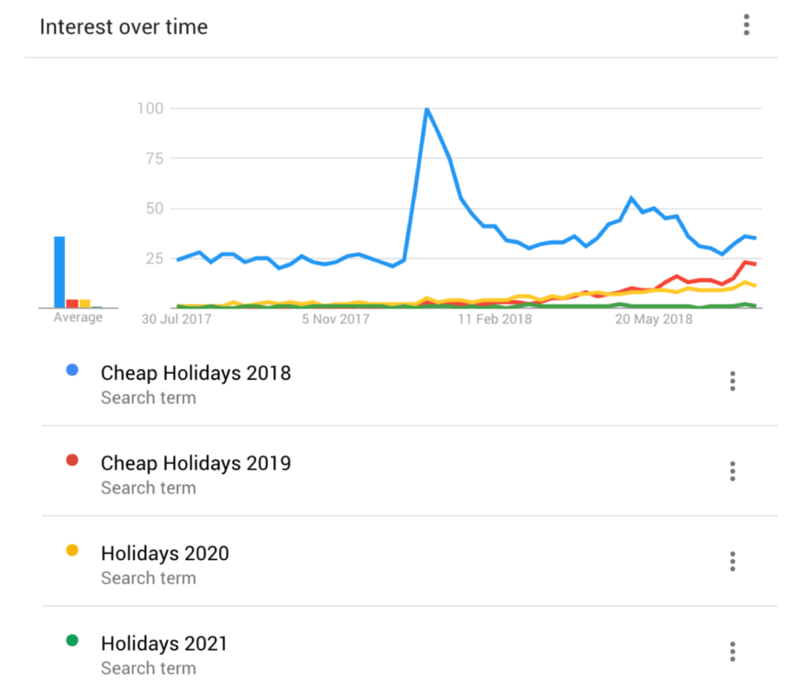 Google Trends is useful for discovering emerging trends – as are other monitoring and prediction tools like Brandwatch. But sometimes gut intuition works, or augments the data. Tools won’t always pick out searches that suddenly strike from nowhere. 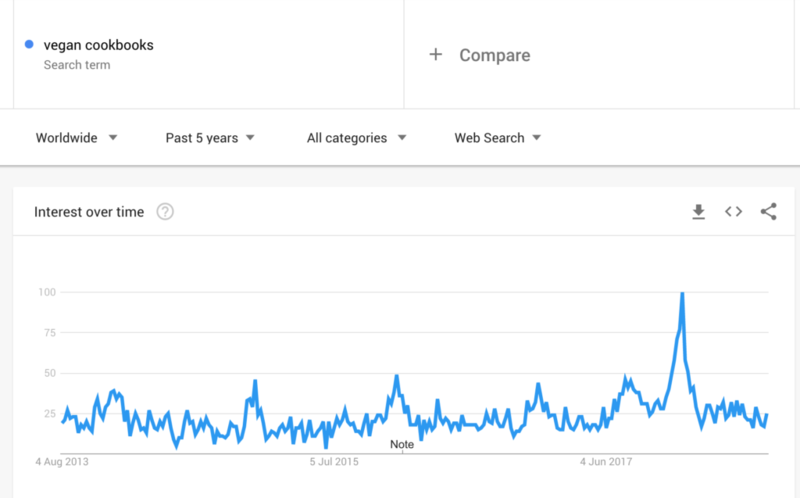 For instance, searches for ‘vegan cookbooks’ leapt up way beyond trend just before Xmas 2017. News coverage, conversations online and offline, etc. might have suggested this. A static view of search volumes, on the other hand, wouldn’t have. It does need to be said that this point is more about adapting and refocusing existing meta data, and creating content / articles, rather than developing entirely new products. Without a Silicon-Valley-sized R&D department, It’s not the best approach to optimise around stuff that might become big in the future. That’s it. If you’d like to speak to us about an SEO campaign, or even multilingual SEO marketing and keyword research then get in touch of just start a live chat if we’re around.